You’ve relied on BigGameGrinders.com for your meat grinding and sausage stuffing needs. Adding the True Induction double cooktop to your arsenal of food prep supplies will help you cook up meal worthy of your hunt. With its quick response times you won’t be waiting around for the grill pan to warm up. Make two things at once! Grill sausages, burgers, make hearty chili or warm side dishes. 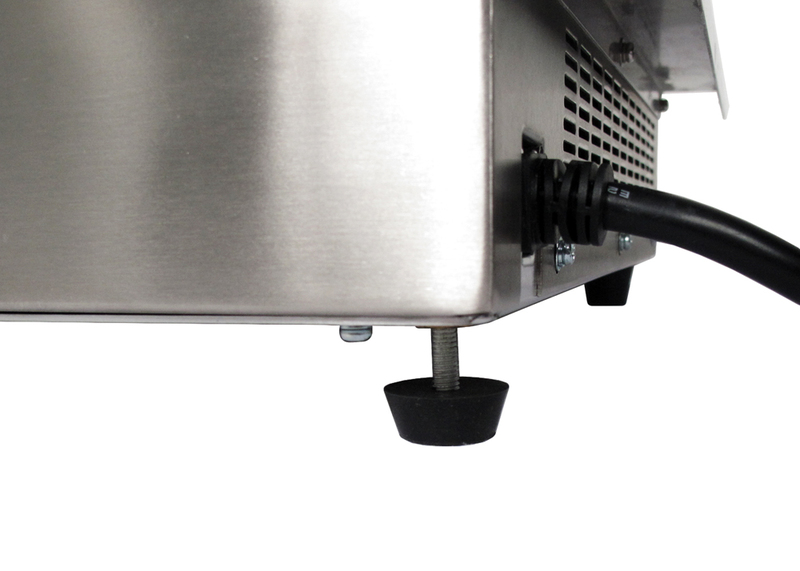 The portable induction stove unit is perfect for the RV, kitchen, break rooms, as a food warmer and more. It makes a nice gift too! When cooking is an art, an artist must have the right tools to present their ability. 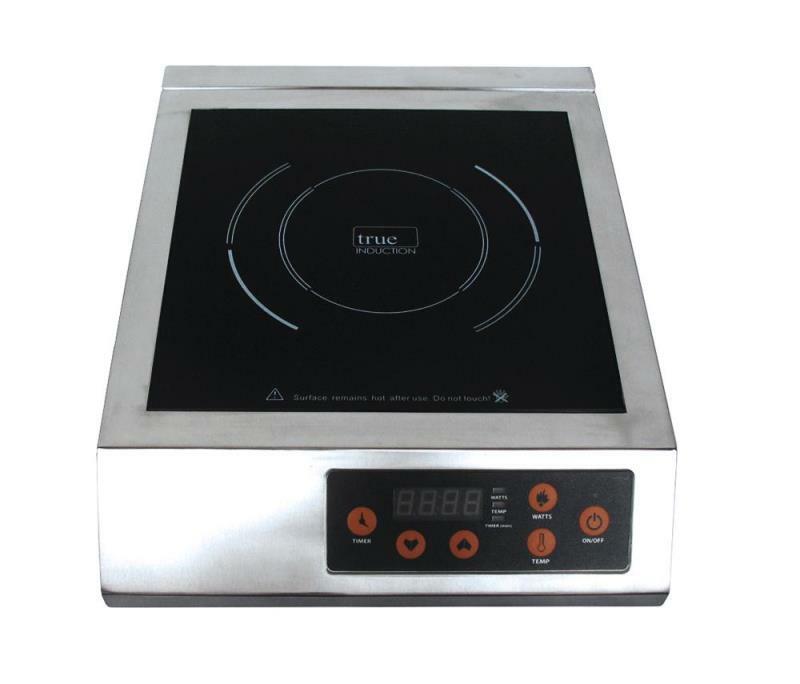 The True Induction 220V Commercial Single induction cook top has 3200 Watts of power to amplify your craft to perfection in your commercial kitchen. 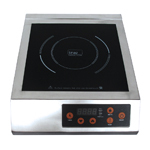 Features include: stainless steel body, auto-off safety function, quick touch level selection, exact temperature settings, wattage settings and timer settings. The Commercial True Induction series gives you the same great portability and efficiency of our home use single induction cookers but with the control and power of a commercial range. 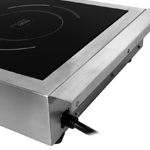 This 3200-watt single burner heats water and pans extremely fast (2 cups of water will boil in a minute), but most of all gives stable temperature controls. Temperatures can still vary from the display depending on the cookware being used and how well the cookware distributes heat, however during testing the active to inactive range was a variable of approximately 10 degrees. The way induction heating works to maintain a temperature level is the induction coils will energize to bring the heat to the desired level and then turn off until the temperature begins to decrease, then energize with varying levels of wattage depending on the temperature the cook top is set to. 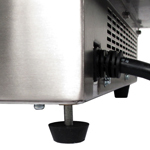 Lower wattage cook tops have less of a range available to moderate the temperature controls. Some additional features include: adjustable legs for height preference, bolt holes that allows it to be secured to a wall, and 15 different heating levels. 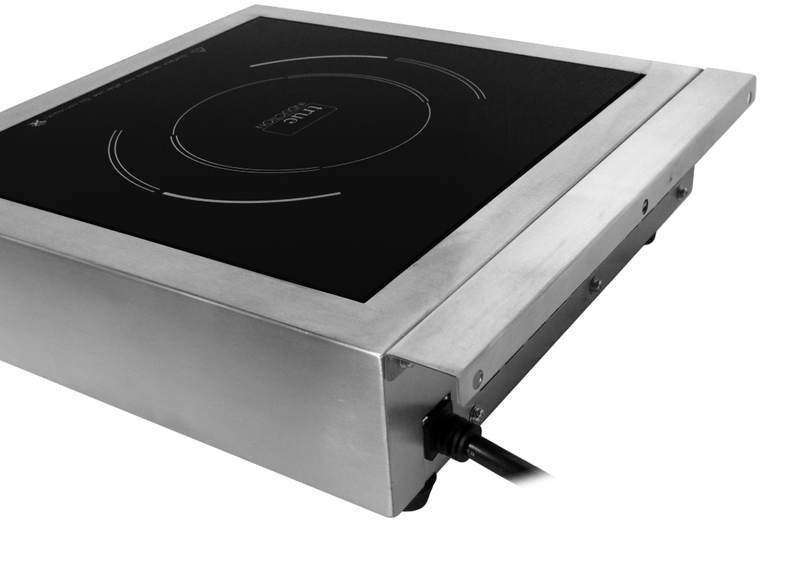 Quite often a sous chef's best friend, professionals love the benefits of having that additional cook top to increase productivity. 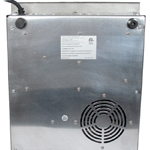 The commercial cook top comes with a standard 220V plug found in most restaurant or commercial kitchens. Turn power on by pressing ON/OFF once. 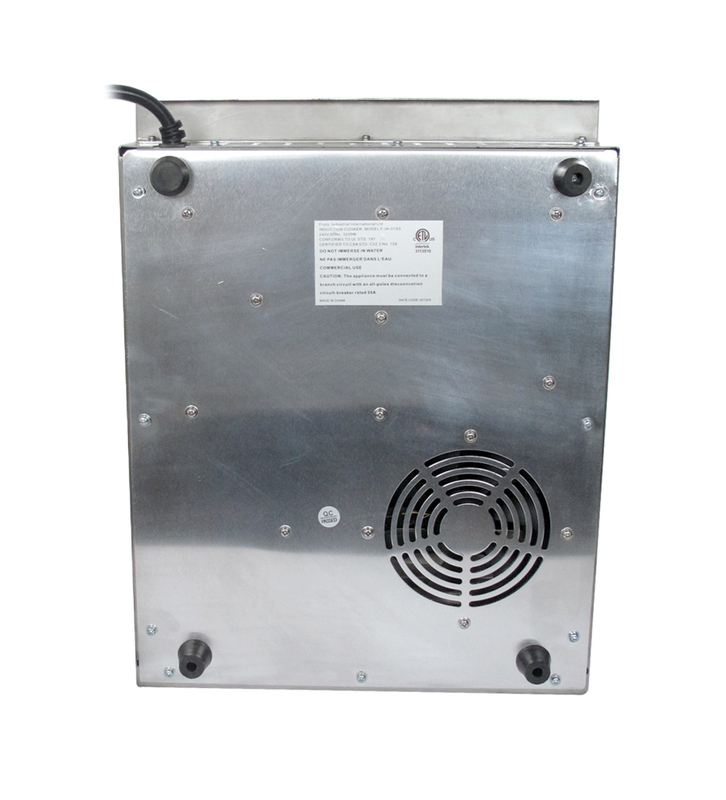 The power light indicators will turn red and the unit will start heating if a proper ferromagnetic pot is used. There are two heat setting options – wattage selection (setting 400 to 3200) and exact temperature settings (150 °F - 450 °F). Press either the HEAT or TEMP button, depending on your cooking requirements. The corresponding indicator light comes on. True Induction makes life simpler with the timer setting option . It’s great to use when making foods that have specific timing instruction like rice or pasta. To use this timer feature press the “timer” button - '0' appears on the display. Press the UP and DOWN buttons, until the desired heat setting is achieved. You will be able to select the operating time in increments of 5 minutes (and reductions of 1 minute). The timer is defaulted at 0 minutes and can reach up to 150 minutes total. After cooking is complete, press the ON/OFF button to turn off the unit. This unit goes in “standby mode” if cooking time has reached a total of 150 minutes. This is a built-in safety feature. The standby mode is recognized by an LED light showing “EE” followed by a sound. To restart cooking after “standby mode” just press ON/OFF button and it will restart.